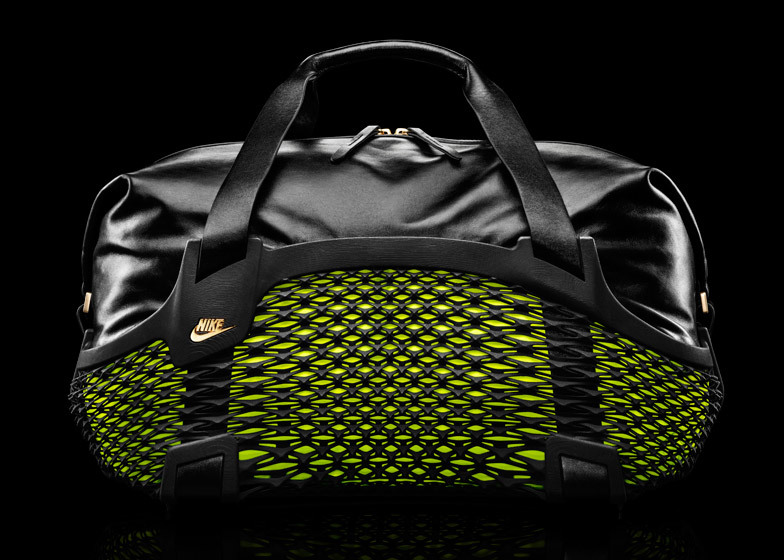 Sportswear company Nike has designed a 3D-printed sports bag for players taking part in the FIFA World Cup 2014, kicking off next week in Brazil (+ slideshow). 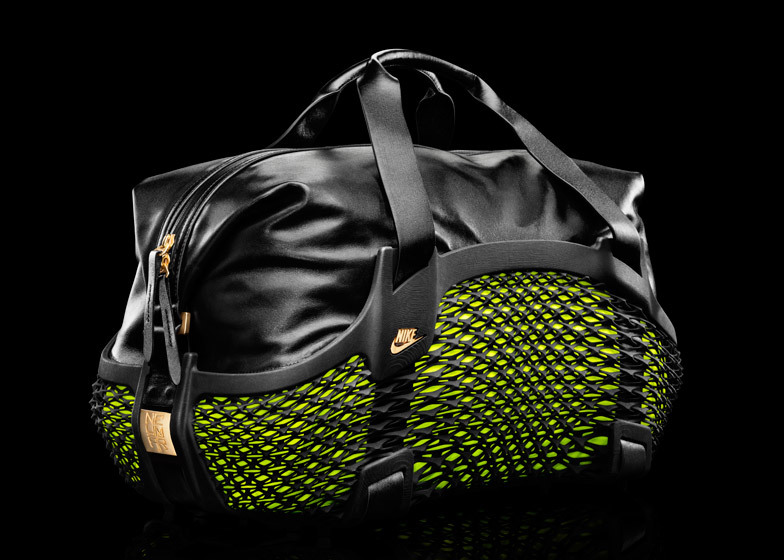 The brand claims that the Nike Football Rebento duffle bag is the first world's first 3D-printed football bag. 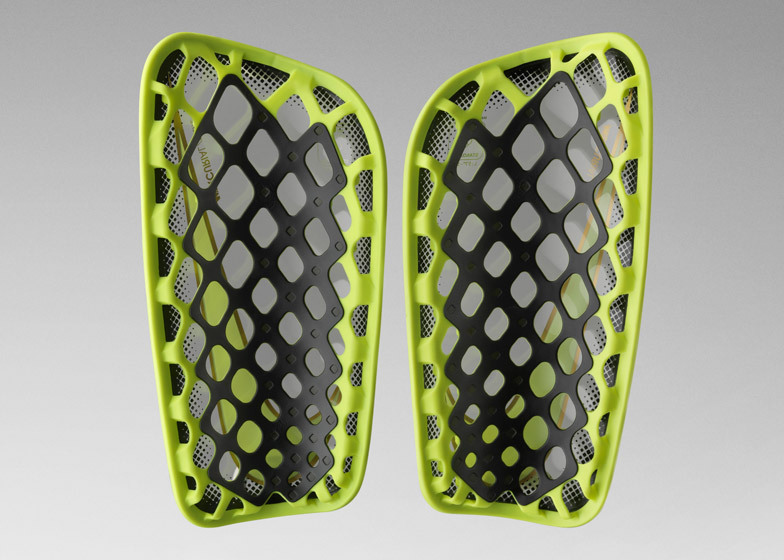 It has been designed as a sports equipment holder for football players at the 2014 World Cup. Named after the Portuguese word for "explode", the bags will be given to players selected by Nike including Wayne Rooney, Cristiano Ronaldo and Neymar. "We did this by utilising one of the most cutting edge technologies, 3D printing, to make a bag that is unlike anything else," he continued. 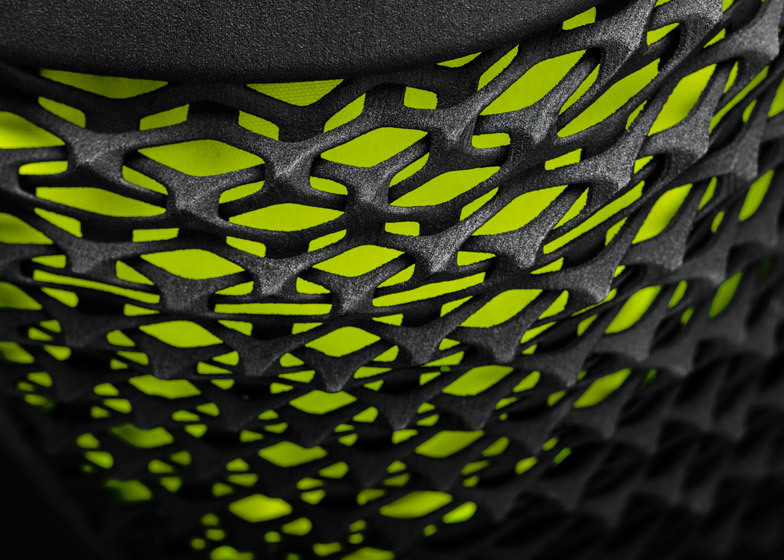 Nike 3D-printed the mesh covering of the bag using laser-sintered nylon, in a pattern referencing the stud plate on the bottom of their Flyknit boots. 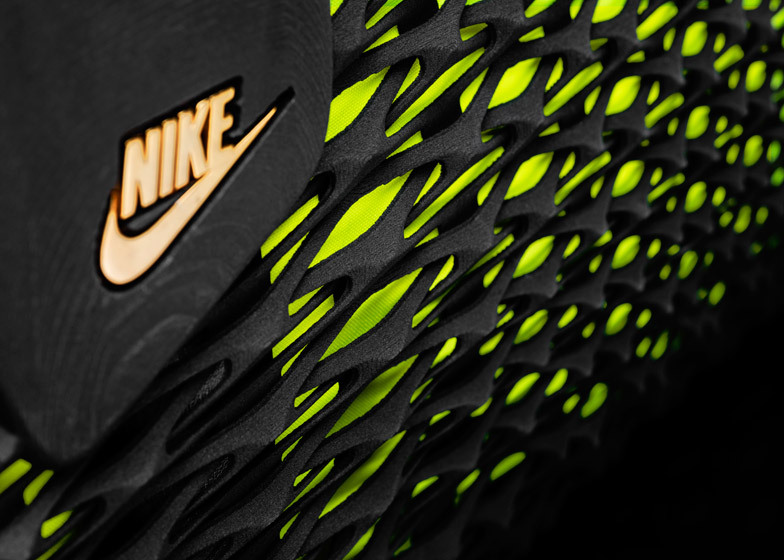 The intertwining mesh on the bag's base is also created with similar techniques used for the Flyknit material. 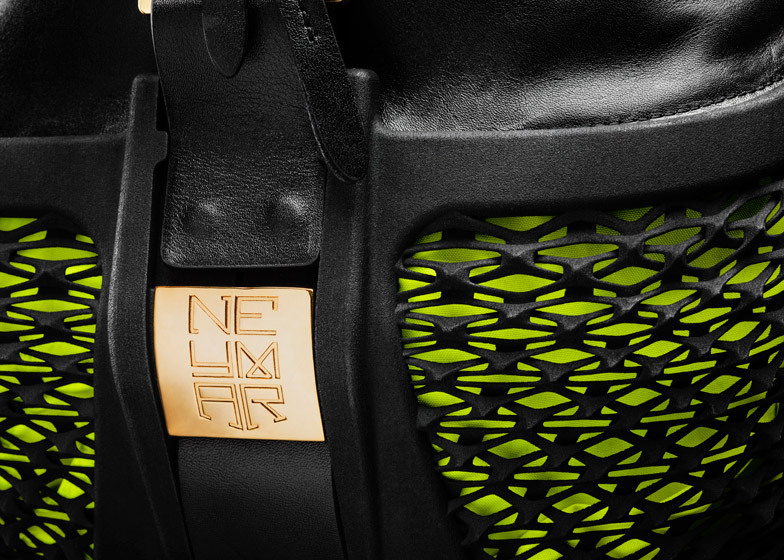 The bags feature gold detailing, with the player's names engraved into gold plates on two sides. A leather holdall fits snugly inside the 3D-printed structure without having to be attached to the case, offering more flexibility. 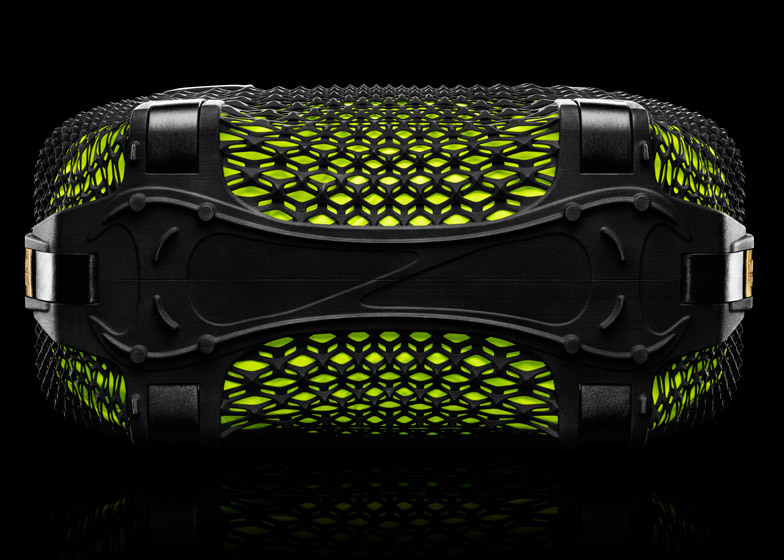 Alongside the duffel bag, the players will be given 3D-printed shin guards designed to be aerodynamically enhanced. 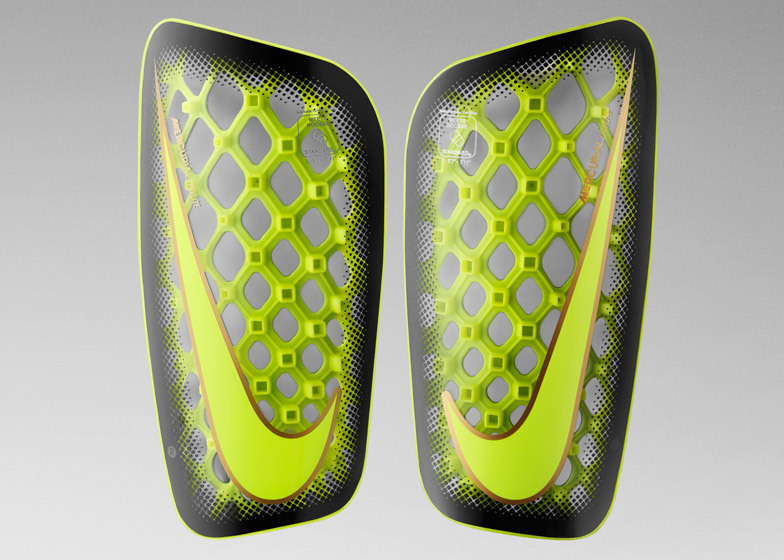 The Mercurial FlyLite Guard also replaces the traditional foam backing that is often used in shin pads, with a webbed honeycomb structure to absorb impact. "With 3D printing, we were able to quickly innovate, experiment and test hundreds of patterns and prototypes for the engineered shock system," Lotti said. The new pads are designed to be light-weight and breathable, allowing them to be worn comfortably for longer periods of time. The first match in the FIFA World Cup 2014 kicks off between Brazil and Croatia in São Paulo on Thursday.